The name Andrew Jackson “Jack” Griffith may not mean much to many people, however to sports car enthusiasts and classic car nuts, he was another genius although his name was initially made by copying someone else’s idea! He was born in 1926 on Long Island in New York State and enlisted in the US Airforce in 1943 at the age of 17, being posted to Wisconsin. He met his wife whilst in the services and when he was demobbed they returned to New York where he got a job in a local Kaiser-Frazer dealership selling cars. He was also interested in music and studied sound engineering in his spare time and even did some recording and radio work alongside selling cars. For a while it appears that he was selling cars, working in radio and even owned a small marina! With success in sales, he moved towns and opened his own dealership, first for Packard, then for De Soto and Plymouth before settling on a Ford franchise in 1955. He then added Jaguar to the mix in the early 1960s. He had bought a new MG TC in 1947 to play with and during the late 1950s got involved in the Sports Car Club of America who were organising races around the country. To compete competitively he needed a powerful yet lightweight sports car and the US offerings were being soundly beaten by imported European cars until Carroll Shelby stuffed a big old Ford motor into an AC Ace and created the Shelby Cobra. This took the sting out of the tail of the imports, so Griffith bought one. His Ford dealership became an outlet for the Cobra cars in New York State and that gave him an insight into the vehicle – including racing one. Legend has it that he was having dinner with Shelby and boasted that he could create a Cobra beating alternative and it was game on. Griffith had been running a team campaigning some TVR Granturas with MG engines, so that was the logical choice of donor vehicle. The Grantura was built in the UK utilising a fibreglass body on a steel backbone chassis and used a mix of components: VW Beetle suspension with a choice of engines from Coventry Climax, MG or Ford. Other components and parts were from a wide range of manufacturers, for example the brakes came off an Austin-Healey, the windscreen from a Ford Consul, lights from a mix of sources etc! Griffith took the path that Shelby had gone down and fitted a small block Ford V8 into what appears to be a Series 2 Grantura and apparently the team used a spare motor from a Cobra that the team had also been campaigning. The car was super-light – lighter than the Cobra – and therefore very quick, however it was a handful to control because of those features – bearing in mind the technology wasn’t that advanced at the time. A meeting with Ford was arranged who had initially refused to supply crate motors however after a run in the “prototype” they relented and signed a supply contract! In 1964 the TVR Grantura Series 4 was released in the UK and that was the basis of a revised US car that became known as the Griffith 400 and was a much more reliable vehicle. By this stage, TVR was going through one its many financial crisis and a dockers strike in the US meant the base vehicles couldn’t be supplied and so the partnership ended with Griffith then signing a deal with Carrozzeria Intermeccanica to build a steel bodied Griffith 600GT. Unfortunately for Griffith, his production business ran out of money and parted ways with the new partners who took the car on, renamed it and tried to continue sales. The Ford dealership was keeping Griffith alive and his next venture was in the late 1970s when he started to cut the tops of cars, in a similar fashion to Crayford in the UK. Griffith focused on volume manufactured models from Toyota and AMC creating the Toyota Sunchaser based on the Celica and the AMC Sundowner based on the Eagle and Concord models. In the early 1990s, TVR named a new model after him, a new TVR Griffith was launched retaining the spirit of the earlier cars albeit with much more modern tech! Around the same time, he got together with a friend, Bill Warner, and they created the Amelia Island Concours d’Elegance in Florida, which today is one of the premier car enthusiast events in the world. He was also behind a program called “RoadSmart” that was designed to teach young drivers defensive skills similar to the ones taught to race drivers to equip them with the knowledge to reduce the number of accidents in that age group. Jack died aged 90 on January 8th 2017, having been an integral part of US motorsport and low volume manufacturing for most of his life. 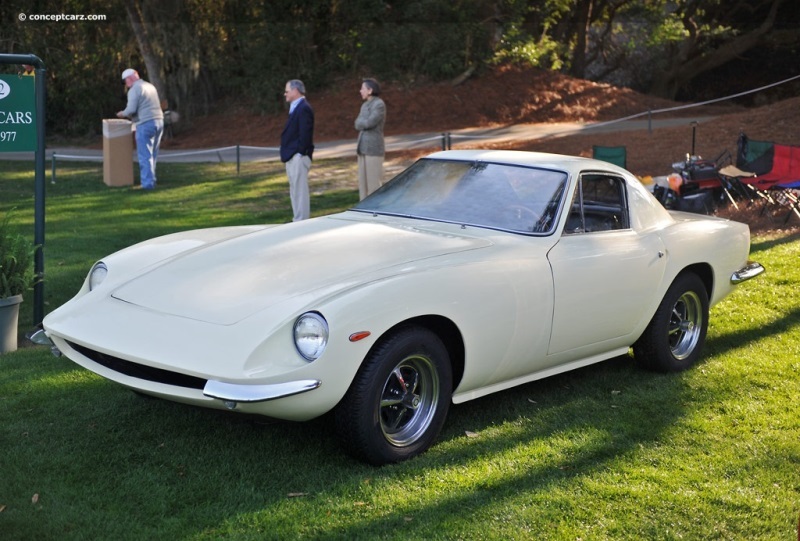 Featured image is courtesy of the TVR Car Club of North America.